Images of the exhibition "Personal Path" and show opening at the Ludwig Museum at the State Russian Museum in St. Petersburg. 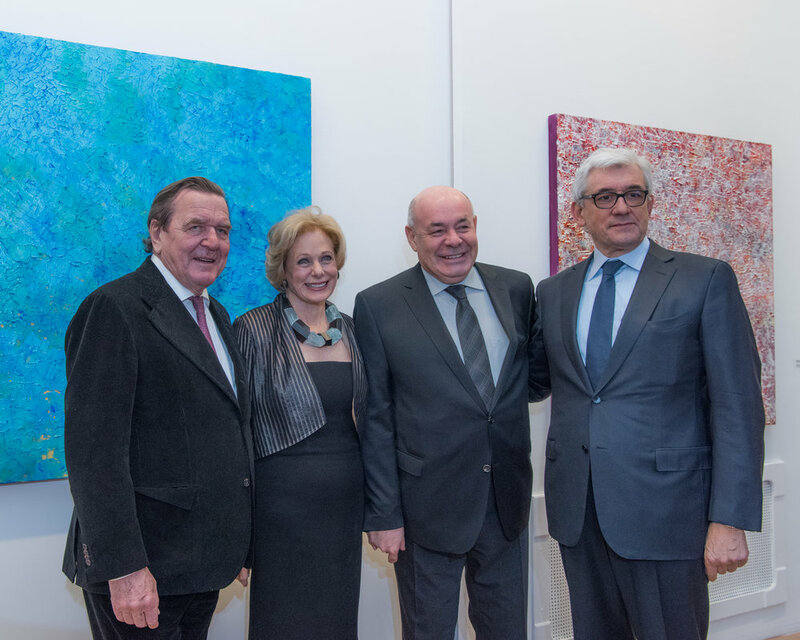 Images of the exhibition "Personal Path" and the opening ceremony at the Ludwig Museum in Budapest, Hungary. Additional photos of the installation can be found here. Susan's artwork on view at the Kimball Art Center Biennial Winter Art Salon at the Montage Deer Valley. Photographs of the opening event for Susan Swartz Studios. 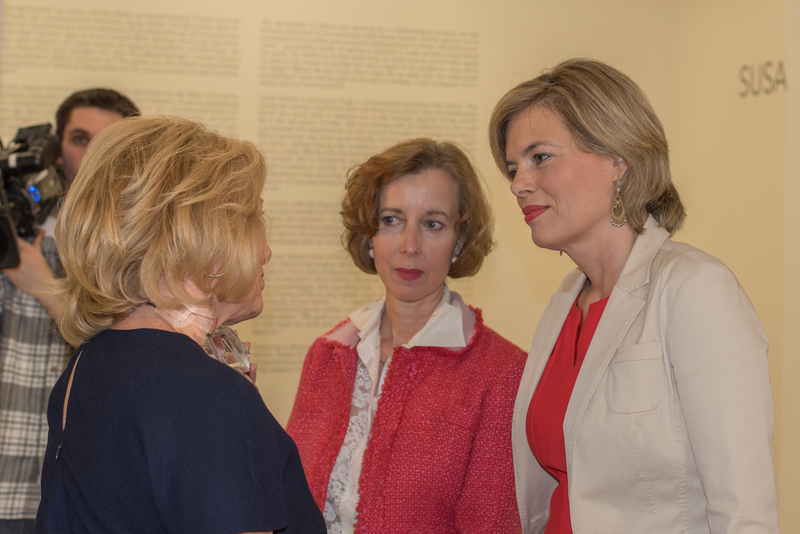 Images from the Personal Path exhibition and opening night event at the Ludwig Museum. Standing outside the Kollegienkirche in Salzburg, the dramatic beauty of the architecture is striking. A banner hangs at the front entrance of the Kollegienkirche in Salzburg, drawing visitors into the exhibition within. The paintings of Susan Swartz line the walls of the Kollegienkirche. 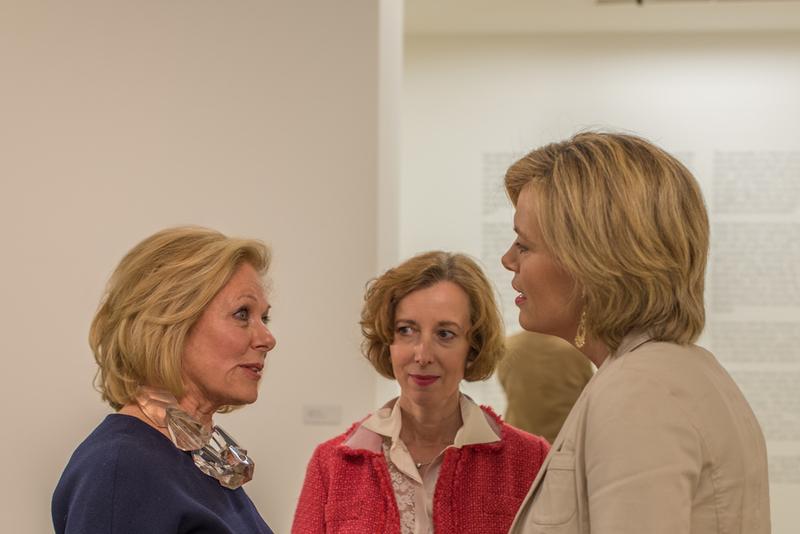 Susan Swartz speaks to Prof. Dr. Dieter Ronte, the curator of her exhibition in Salzburg, at the opening night event. Two of Susan's more subdued paintings, A Personal Path 2 (left) and Quiet Interlude (right) are displayed beneath a dramatic example of Baroque architecture. Susan Swartz, standing alongside Water Study 005 at the opening of her exhibition in Salzburg. The painting Heaven is seen in the foreground with a statue of a saint in the background. Susan stands with Karl Gollenger, President of the Salzburg Foundation, at the opening of A Personal Path at the Kollegienkirche. Entering the church, Susan's paintings line the path to the glowing center altar. The Kollegienkirche Salzburg hosts one of the first events of the Salzburg Festival with a sold out crowd in attendance. Susan's paintings line the walls from the front entrance all the way up to the altar.